Graded GEM MINT 9.5 by BGS, with signature graded "10" by Beckett. 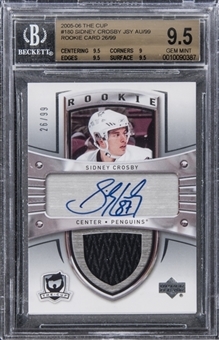 A Rookie Card collectible. (These cards are very thick, and are constructed of extremely delicate card stock, making them almost impossible to obtain in the lofty BGS GEM MINT 9.5 grade.) 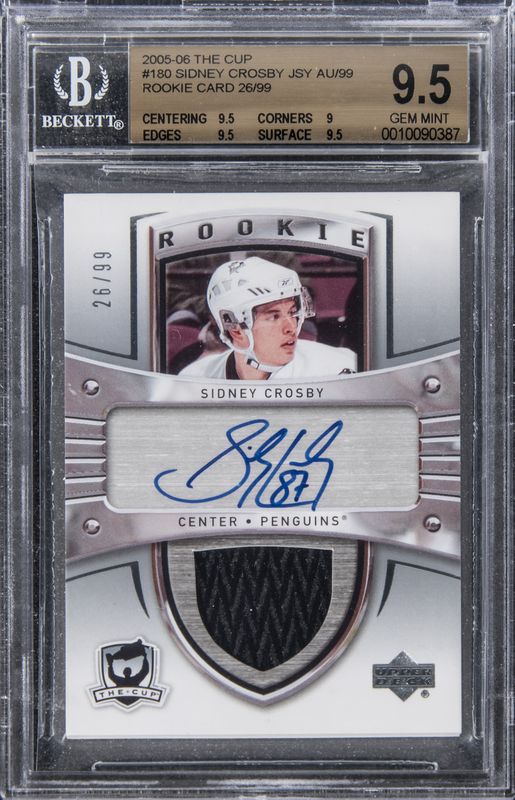 Crosby has penned an outstanding, blue ink signature on the obverse of this "The Cup" entry; additionally, he has scripted his uniform number, "87." 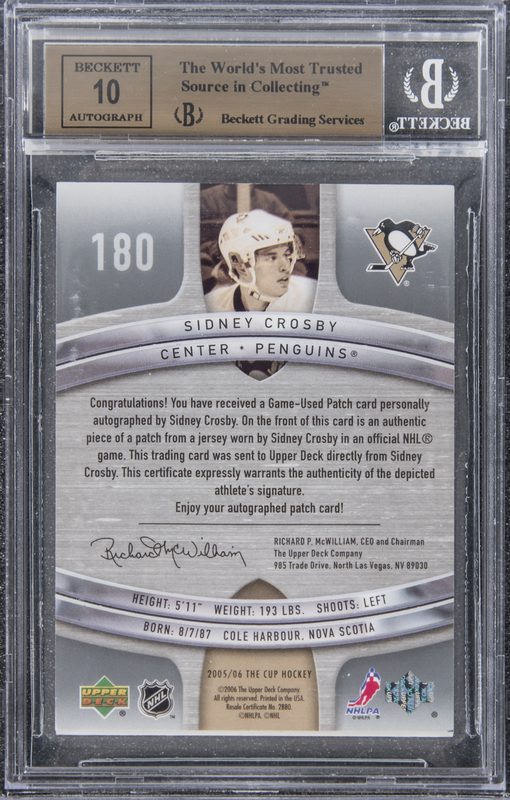 The card's design also incorporates a swatch taken from a jersey worn in NHL game action by the stellar athlete. The card's BGS condition report: Centering 9.5, Corners 9, Edges 9.5, Surface 9.5. A congratulatory statement from Upper Deck appears on the card's reverse side; this declaration attests to the signature's authenticity, verifies the origin of the card's "patch" component, and serves as the COA for the subject item. The limited-edition piece is serial-numbered "26/99." The last BGS GEM MINT 9.5 example sold for $80,287.00 on eBay (02/26/2019). The most recent BGS MINT 9 copy sold (03/26/2019) fetched $21,000.00 on eBay, as well. An extremely desirable hockey collectible, in Gem Mint condition.